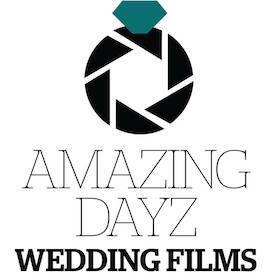 Tell us all about your business: Amazingdayz produce natural unobtrusive wedding day films. A visual feast of creative, cinematic storytelling. What inspires you: My kids, they inspire me not to take life to seriously and have fun along the way. Tip 1: Step back for 5 mins on the day and just take it all in. Tip 2: Keep group photos to a minimum, spend the drinks reception with your guests. Tip 3: Book your key suppliers early, its awful telling excited couples you're already booked. If you are still in search of a DOCUMENTARY, CREATIVE & ALTERNATIVE WEDDING PHOTOGRAPHER, we would love to hear from you :) I happily work all over the MIDLANDS, BIRMINGHAM, DERBYSHIRE, WARWICKSHIRE, STAFFORDSHIRE, WORCESTERSHIRE, SHROPSHIRE, COTSWOLDS, GLOUCESTERSHIRE, OXFORDSHIRE, BUCKINGHAMSHIRE, HERTFORDSHIRE, LEICESTERSHIRE and regularly work as a NORTHAMPTON WEDDING PHOTOGRAPHER, also covering MILTON KEYNES, LONDON and all the UK too.